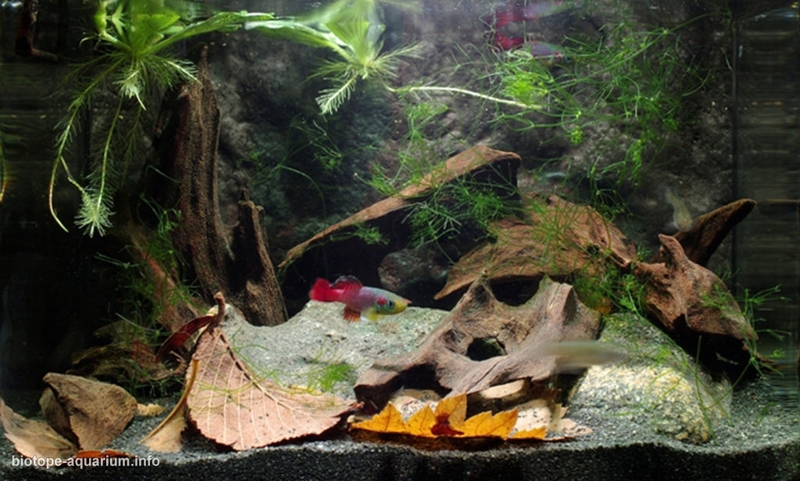 We present to you the results of Biotope Aquarium Design Contest 2013. 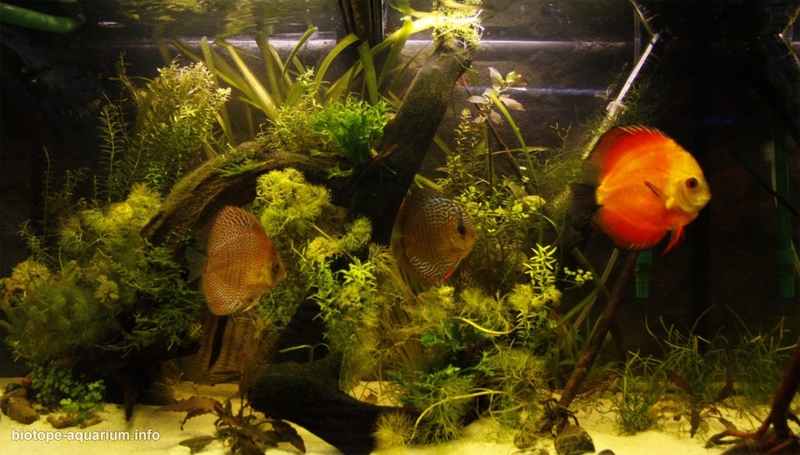 The final round of Biotope Aquarium Design Contest 2013 was held on November 20th-23th in St. Petersburg, Russia, during ZooSphere 2013 exhibition. 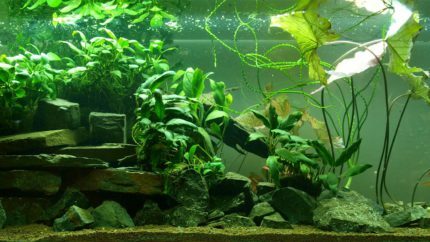 The contestants had the aquaria, all the equipment, fishes and plants and had to set up their biotope aquaria during those three days. 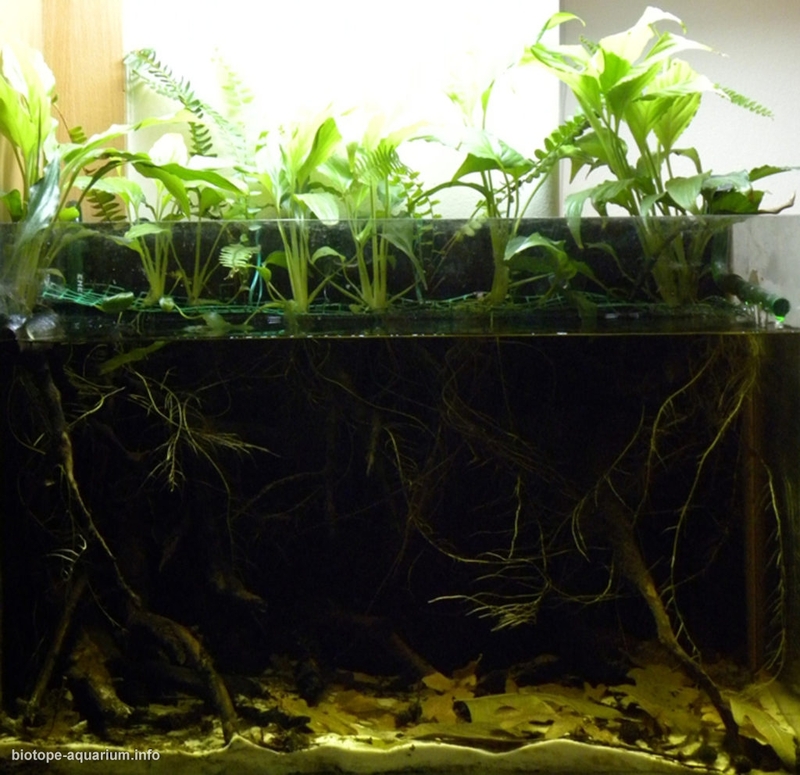 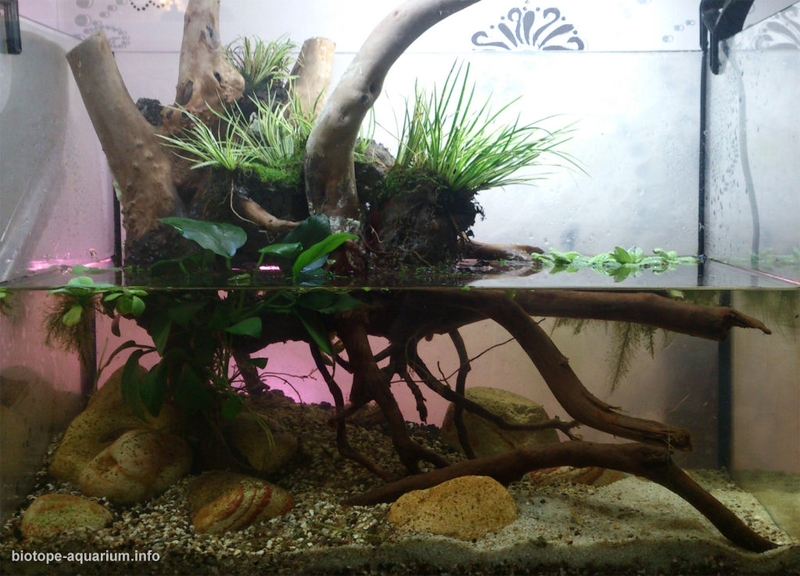 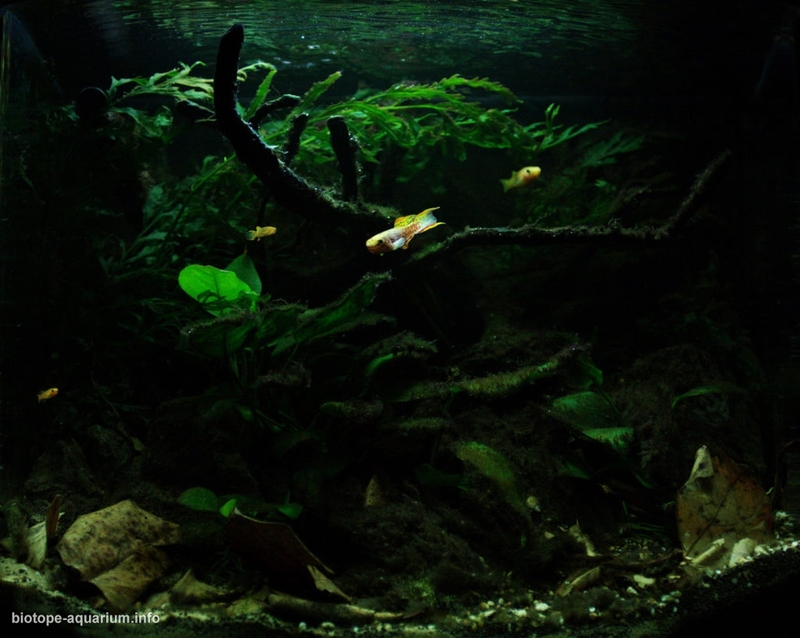 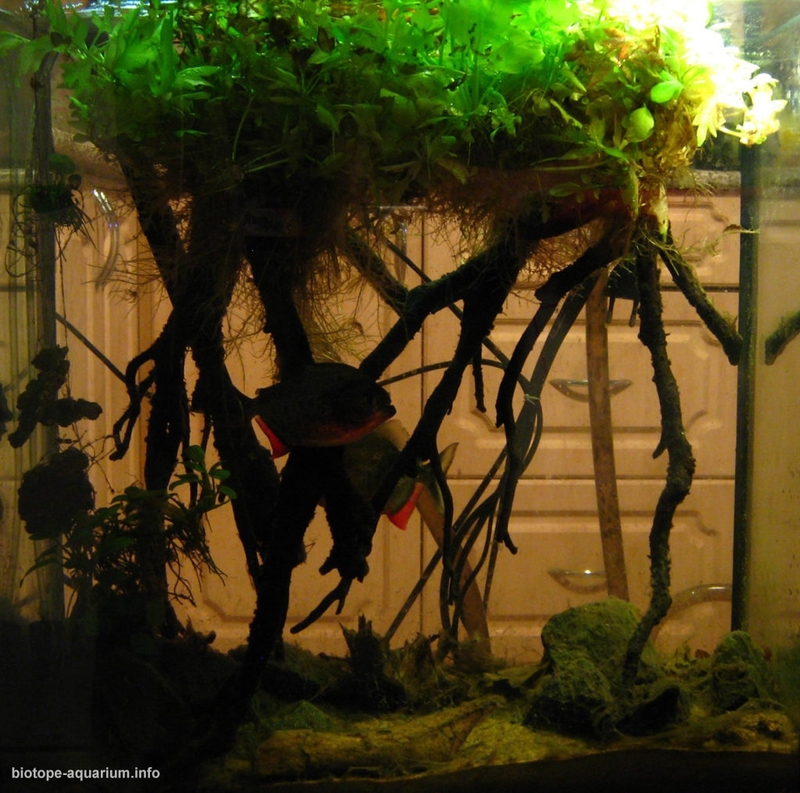 During the qualifying round of Biotope Aquarium Design Contest 2013 the participants sent to us the photos of their aquaria with the descriptions. 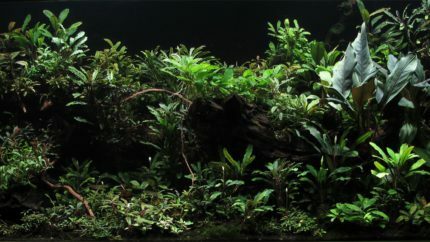 On October 20th, 2014 the members of the jury chose five participants, who went to the final round of the contest to St. Petersburg on November 20th-23th, 2013. 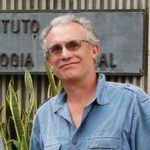 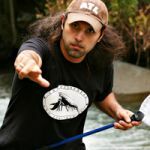 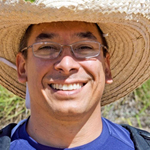 First of all I wanted to thank all participants and I want to add that almost all did a fantastic job and each one should be proud of his work and his research done to create such a beautiful most of them biotope – nature correct. 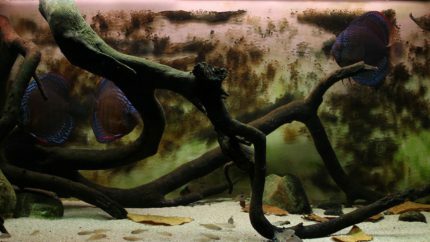 And information from me to almost all: You should do better research before you finalize the biotope and text. 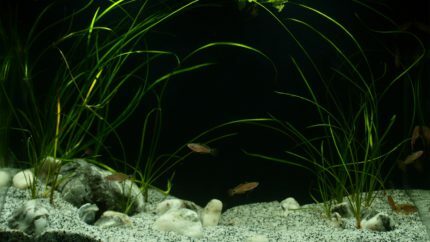 Most of the errors which occurred were (in this order): firstly error in mixing species not found together in the named biotope (mostly fishes, but also plants); secondly the names/locations/area and geographic location of the decorated biotope have to be more precise; and thirdly the description of the biotope (which some made excellent, but some also missing most of it) should be more accurate. 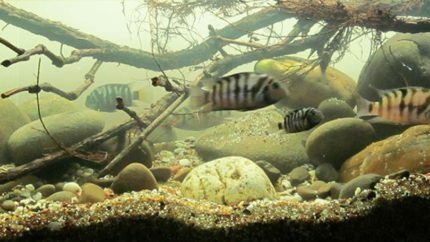 It was an honor and a privilege to have had the opportunity to see how well European hobbyists approximate the biotopes inhabited by tropical fish all around the world. 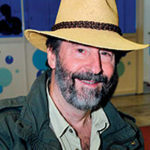 I know I am extremely lucky to have experienced this first hand in my travels, and am very impressed to see how beautifully your contestants have duplicated it. 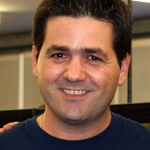 I sincerely appreciate your time and efforts in being a judge on this year’s panel. 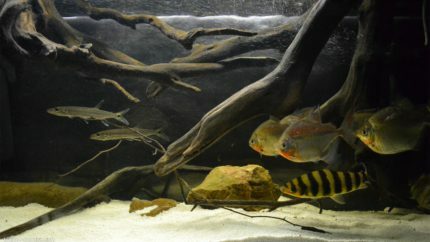 The biggest surprise for me was that numerous tanks were too small for the fish kept inside. 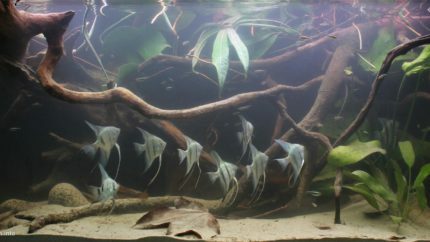 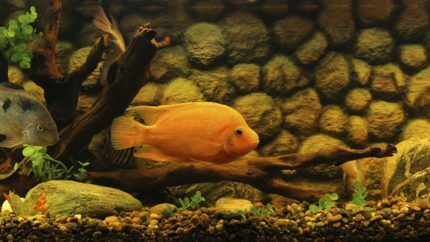 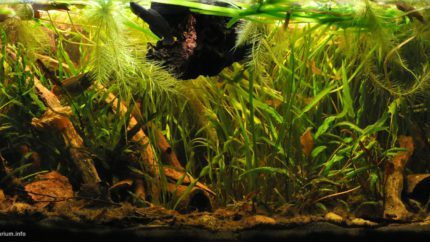 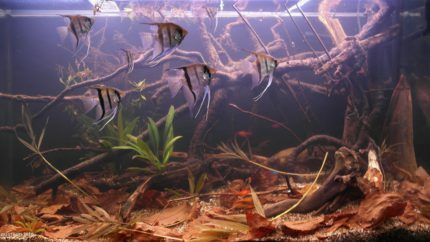 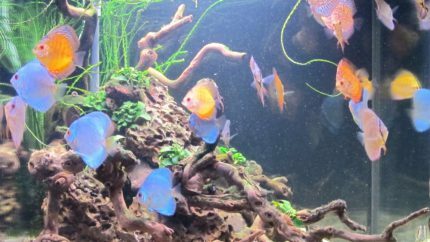 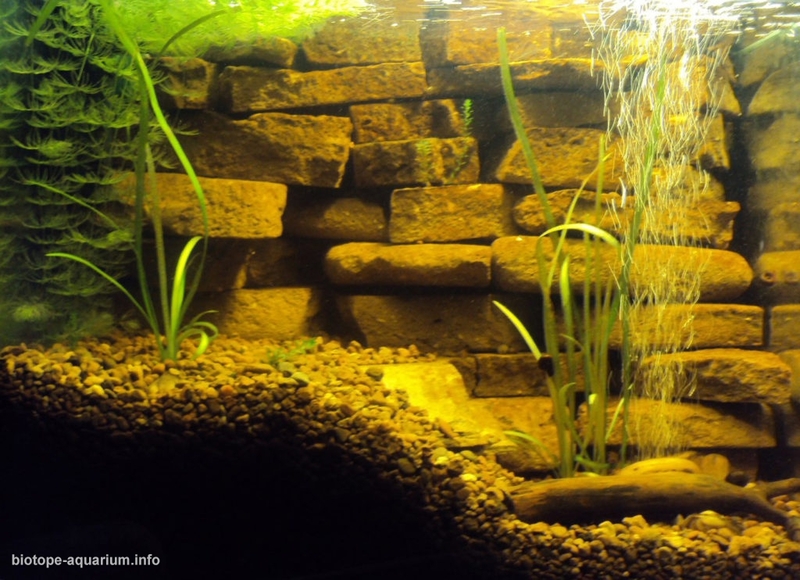 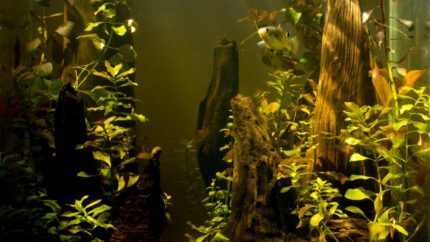 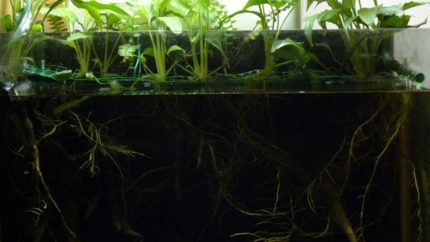 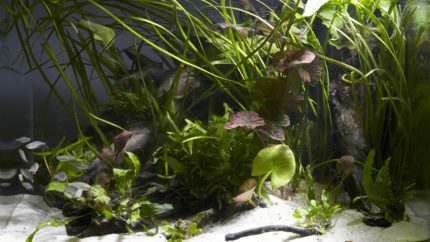 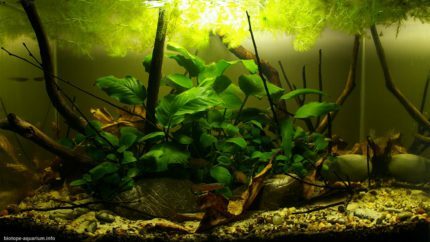 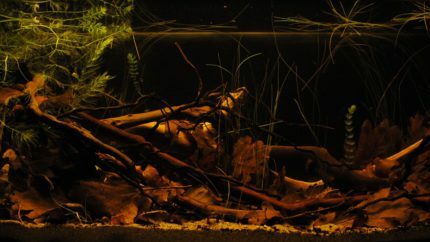 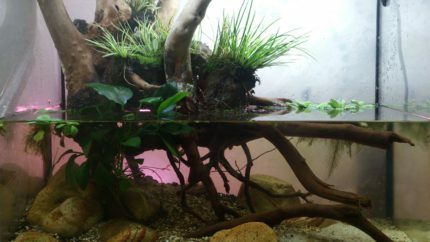 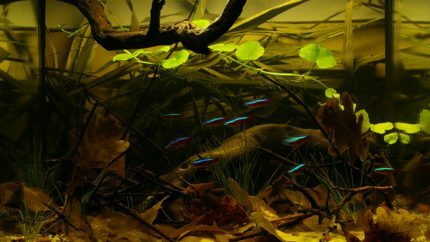 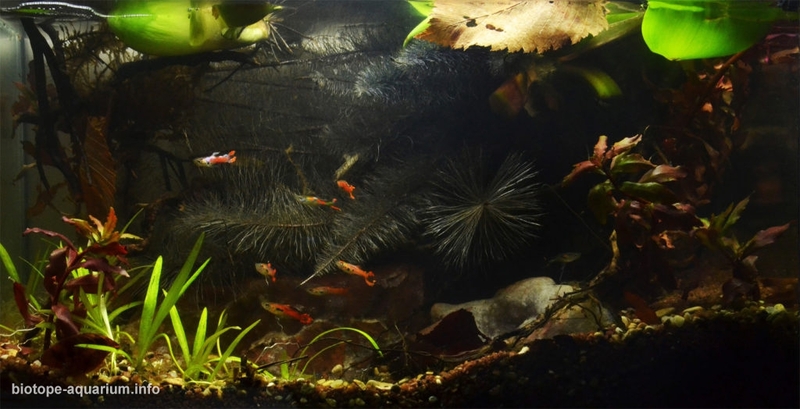 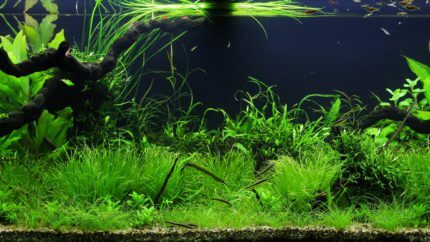 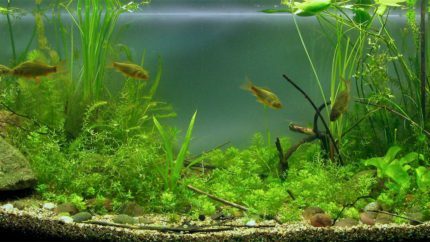 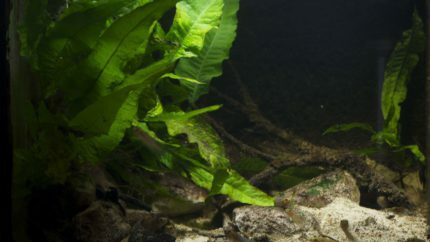 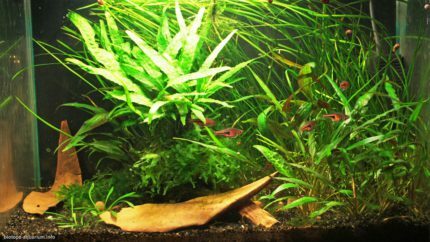 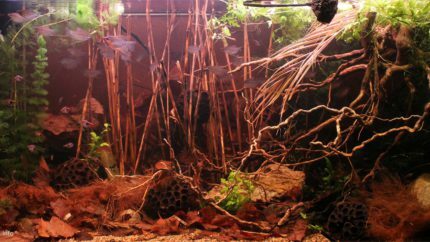 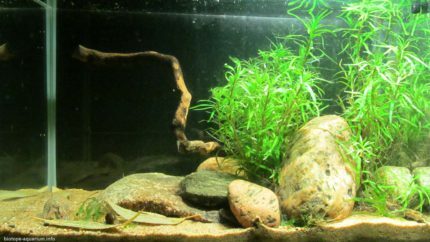 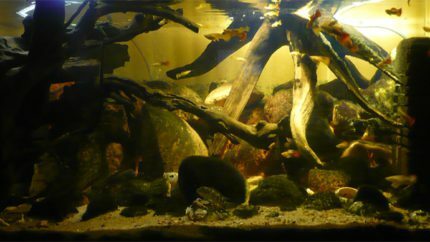 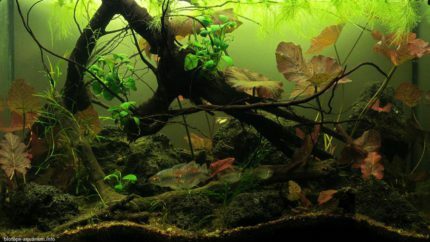 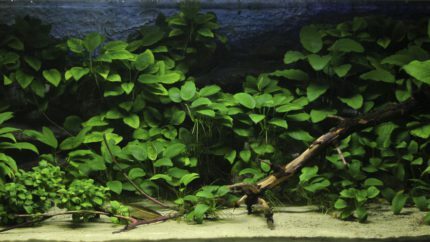 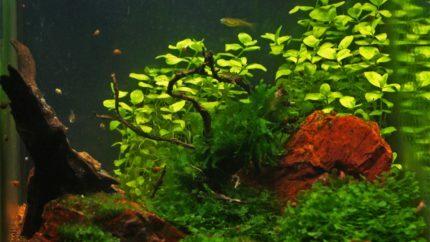 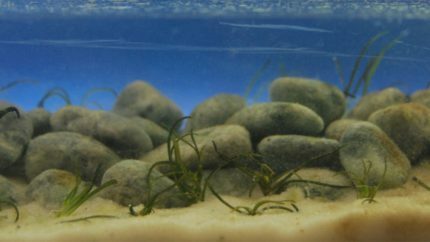 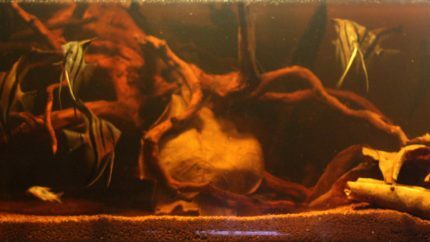 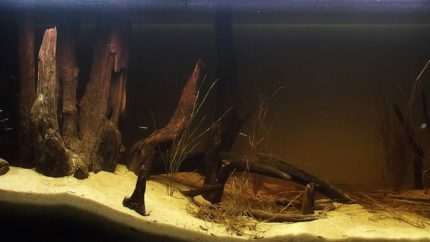 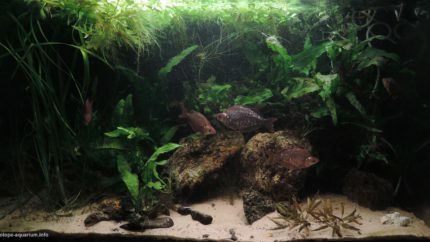 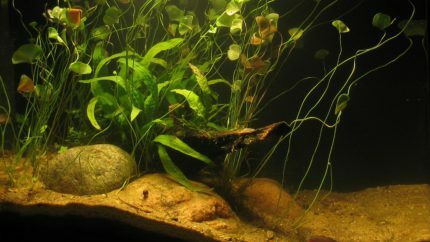 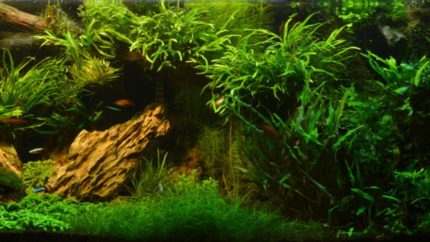 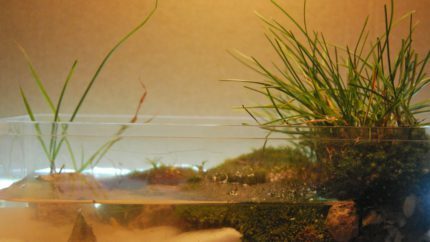 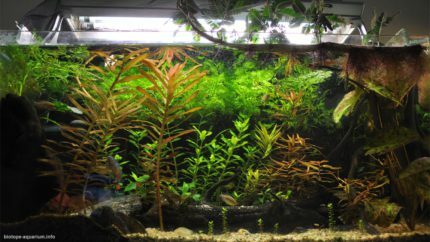 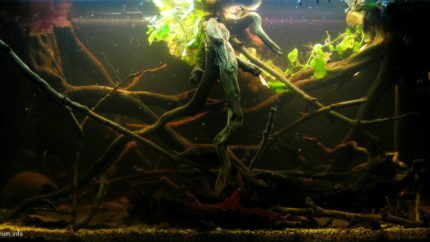 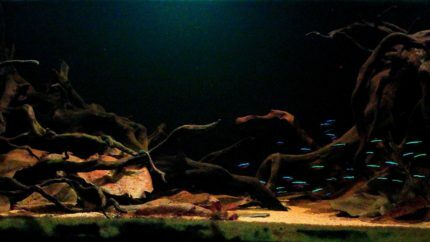 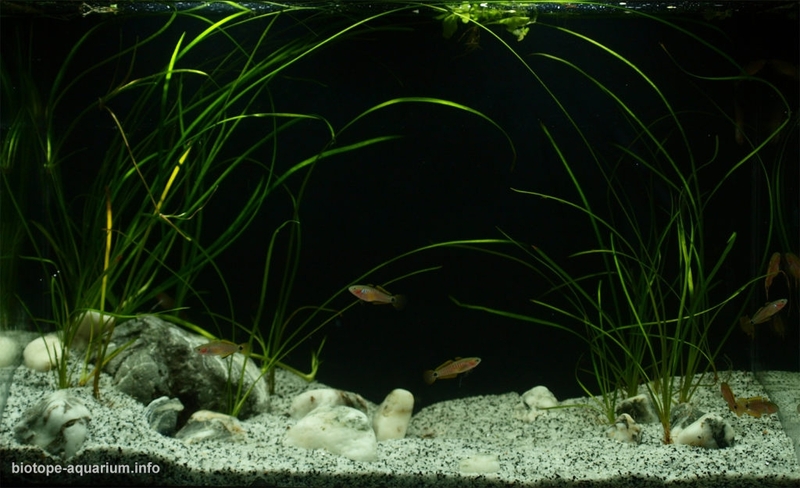 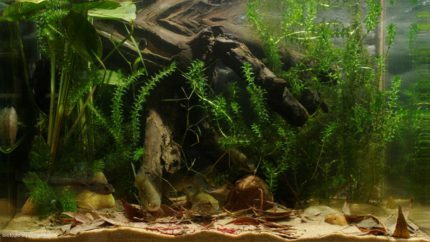 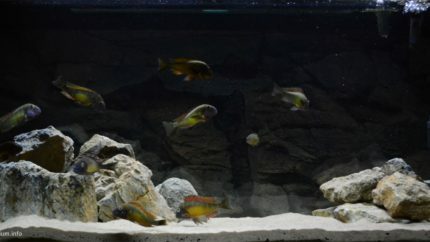 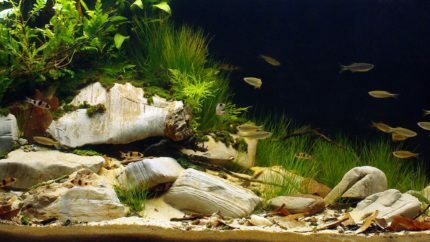 Also, some tanks were clearly not a biotope tanks – and I was not sure how I should judge them, because they were very good planted aquariums, but had nothing to do with real biotopes. 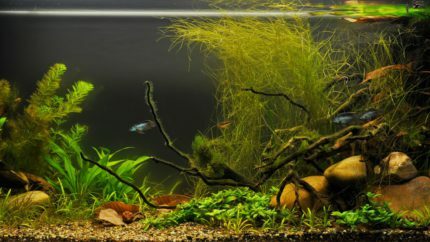 I liked very much the organization of the contest – I mean, the form was prepared very good and careful, all titles of layouts were exactly the same as titles on the website, this was done very well. 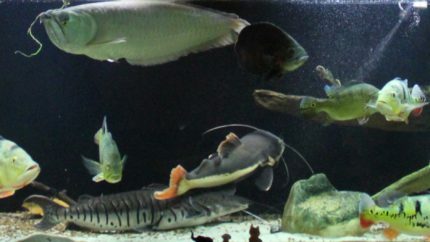 We have all one thing in common. 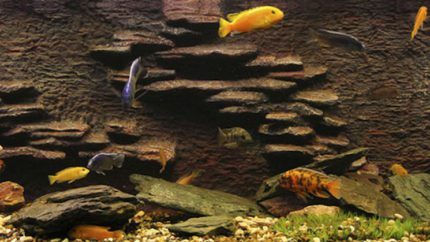 We love nature and especially all what is in and around the water. 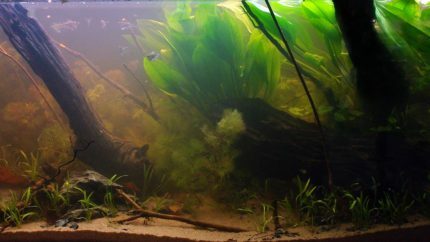 A little piece of untouched nature in our own habitat at home. 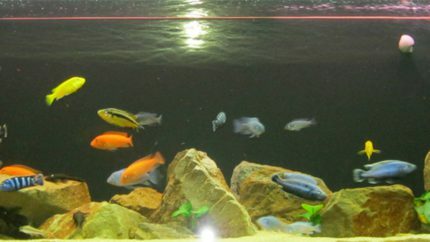 The Russian Aquarium Design Contest is one of the most interesting ones worldwide with a great number of participants. 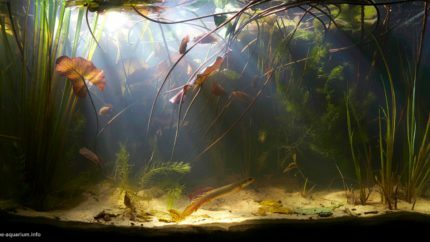 I have been a judge in many contests worldwide and it’s never easy to judge especially if the people create these scapes with a lot of love and dedication. 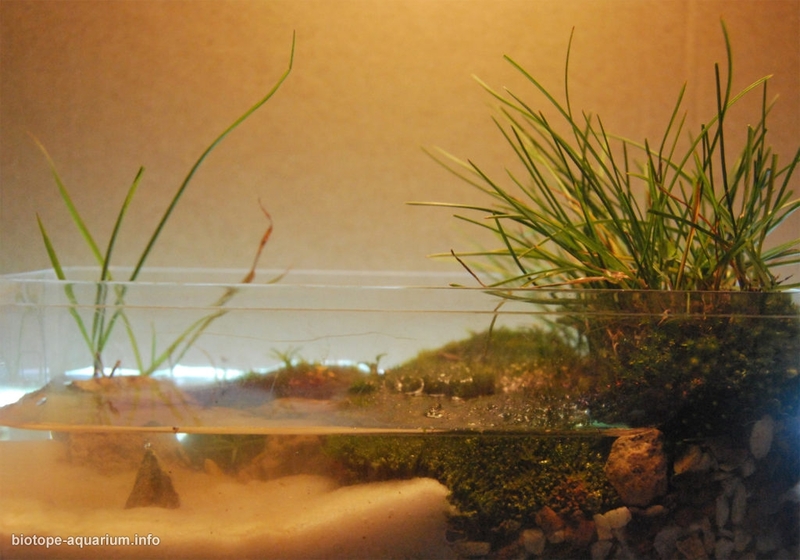 Nevertheless we have to decide who is the best in scaping, shaping and naturing these little glass worlds. 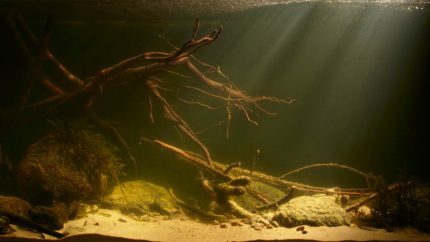 I am always curious to see how creative people are and this time there has been a lot of good entries to look at. 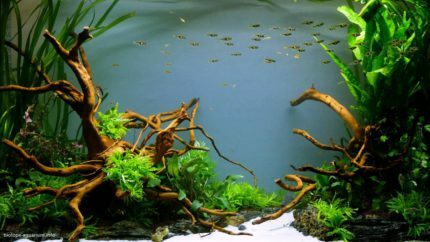 What I think is the most difficult is the Nano Competition. 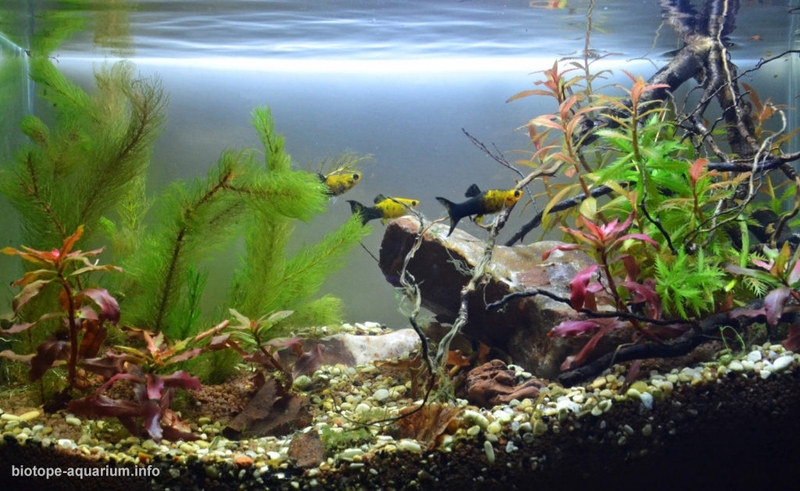 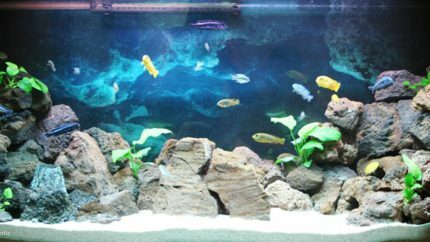 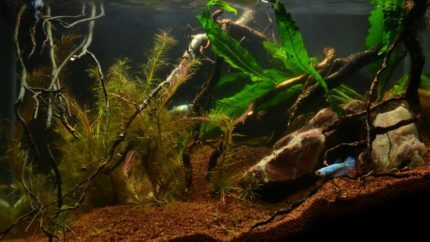 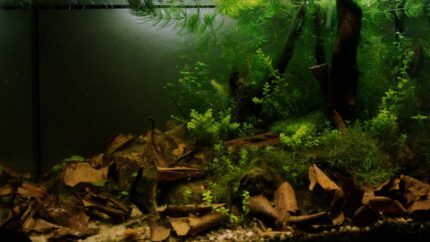 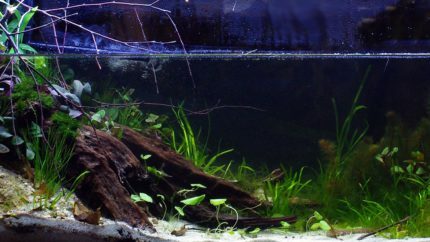 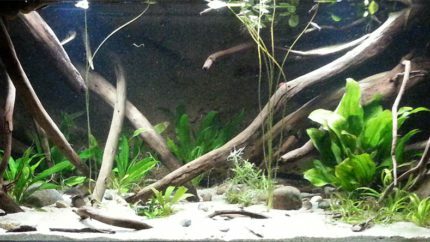 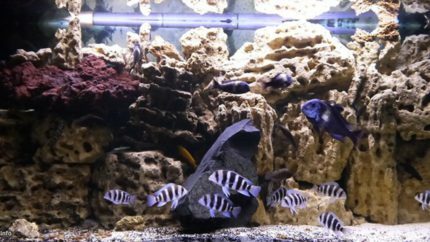 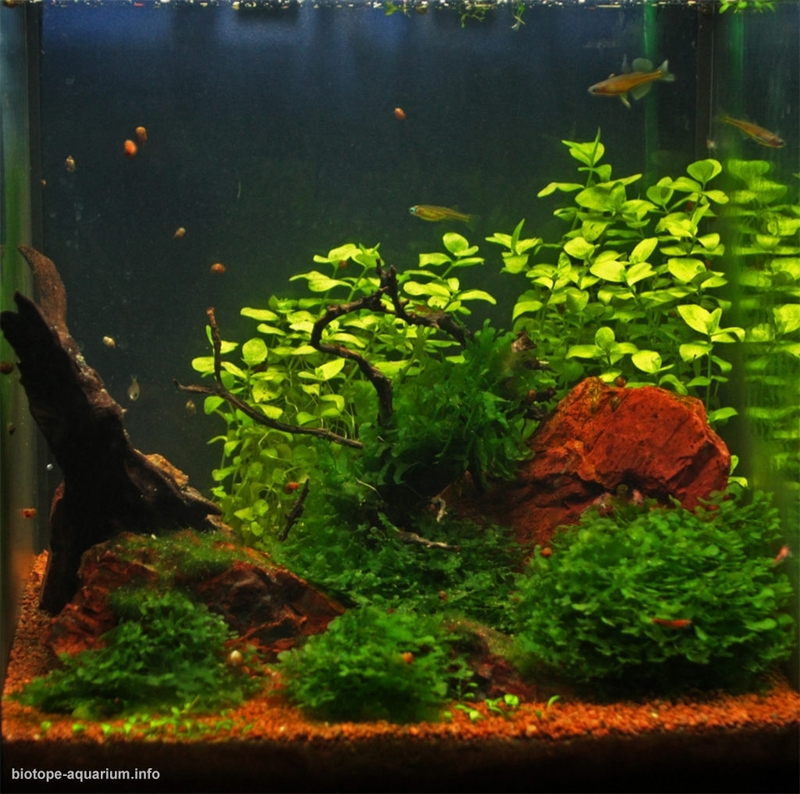 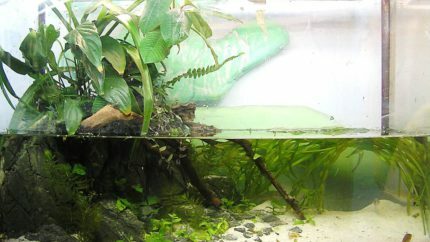 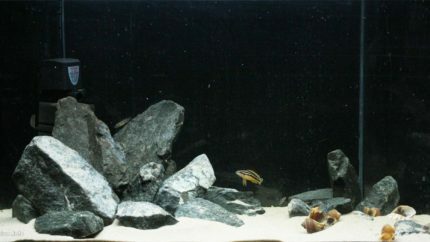 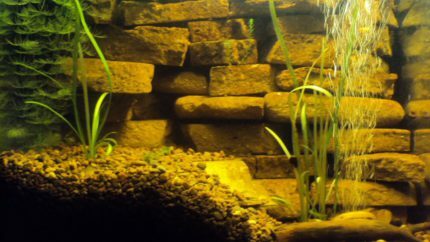 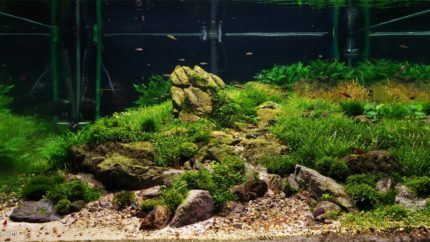 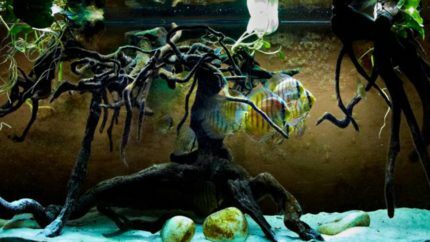 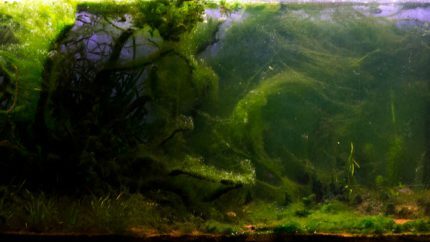 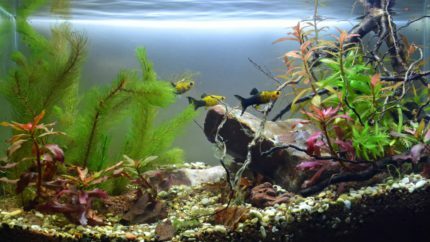 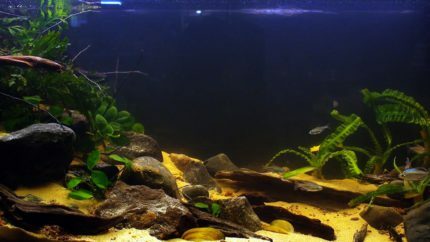 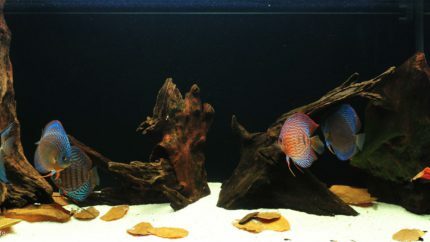 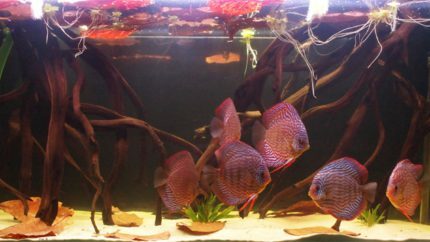 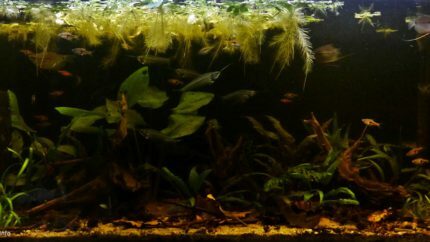 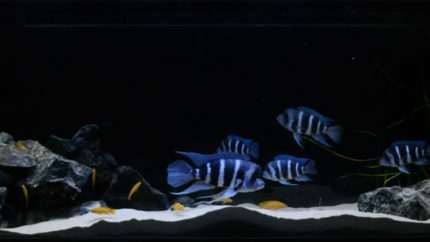 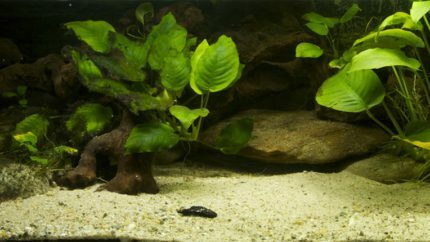 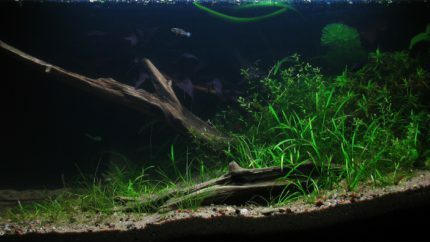 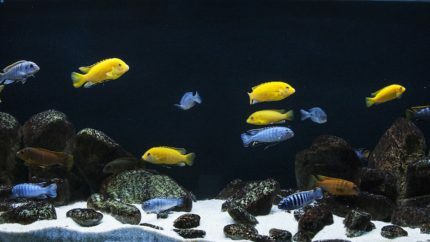 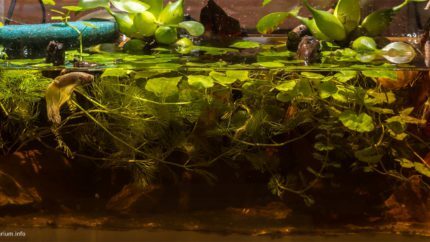 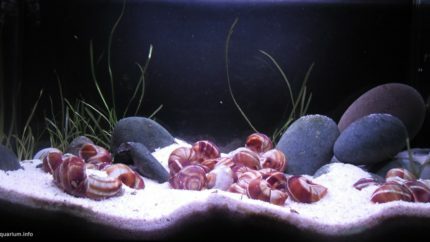 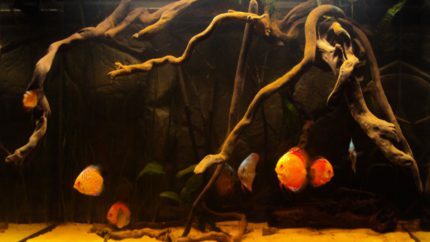 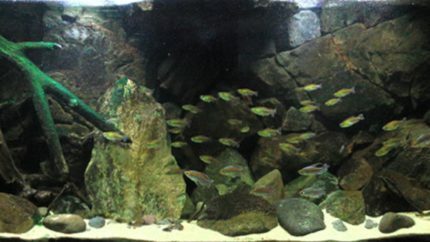 It is for sure not easy to scape a glass tank with very limited space. 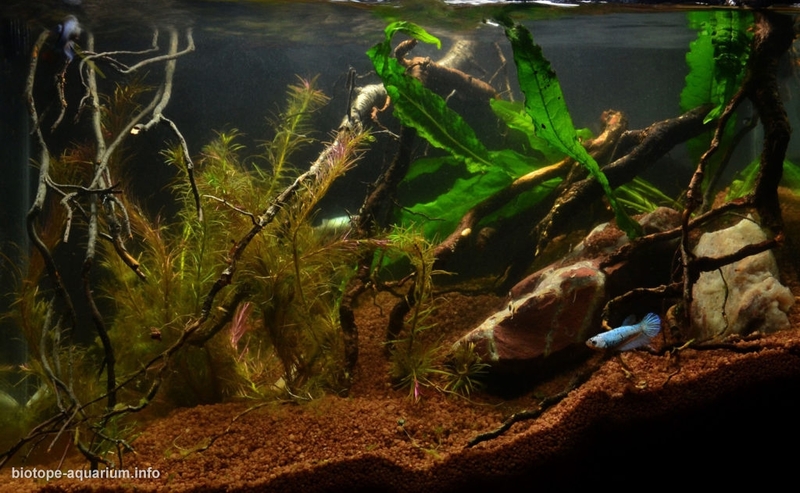 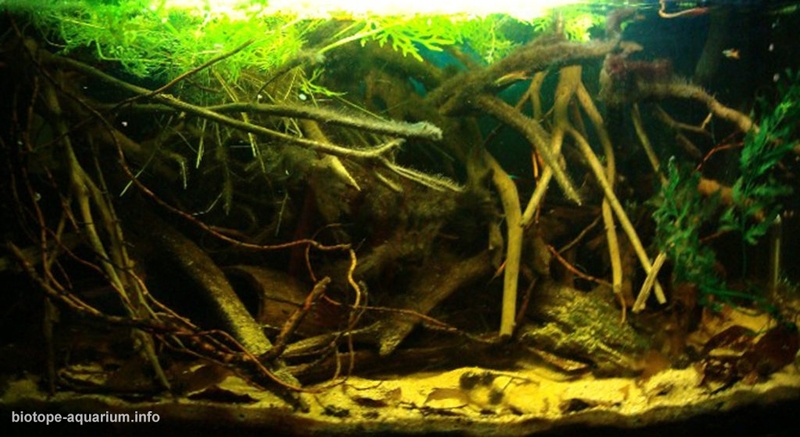 As an underwater photographer specialized in freshwater it’s a pleasure to look at the natural biotope aquariums. 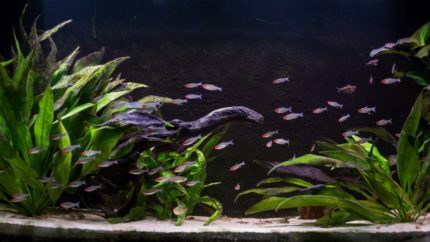 Some of them have been outstanding. 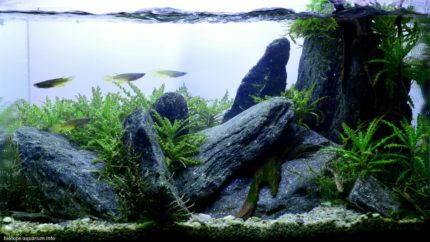 The quality test of the Biotope Contest is over. 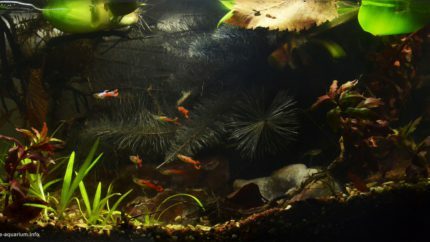 I was honored to evaluate entries as a member of jury. 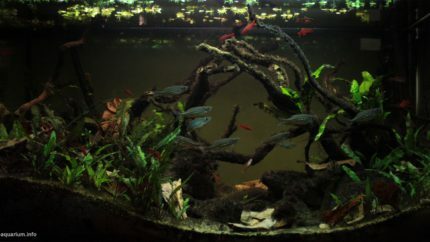 There was a lot of entries. 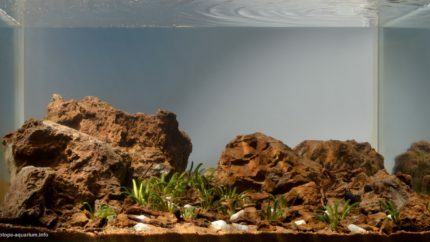 Some mistakes were obvious: fishes and plants from different continents, selectively bred or species that inhabit different natural biotopes, but originating from the same region. 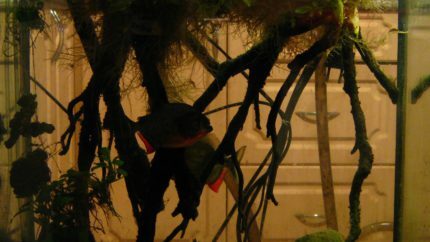 It was not easy to judge. 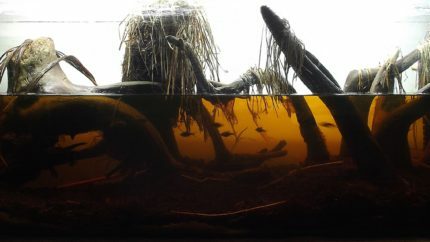 In particular, entries with an uncertain geographical name such as “Somewhere in Brazil” or a small part of a water body: “Under the bridge over a forest stream in Udmurtia”. 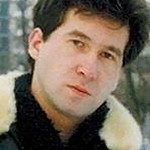 I had to read some special literature and surf the websites. 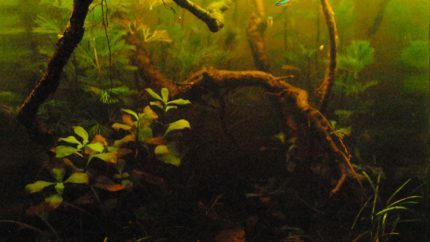 In the entries, where it was difficult to determine the accuracy of biotopes, I judged on the basis of the mechanics of biotopes in nature: location of the substrate and natural decoration in the aquarium, presence (or absence) of organic residues, amount of schooling fish, species diversity, correct selection of neighbors who occupy different ecological niches in particular biotope, and natural behavior of fish. 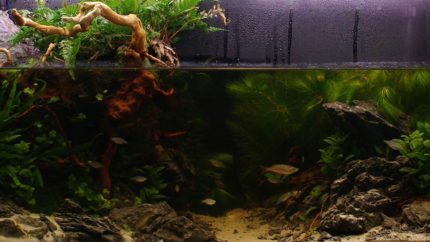 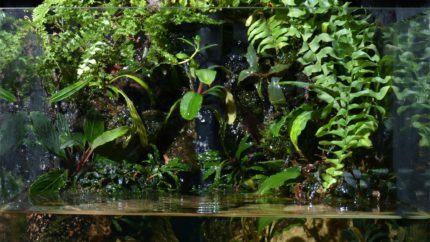 On the basis of categories for evaluation, I judged strictly because in the quality test each contestant had plenty of time to create a natural biotope. 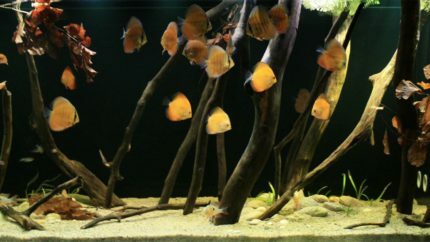 The highest points (it is 50) were not given to anyone, because even in the most successful entries there were shortcomings. 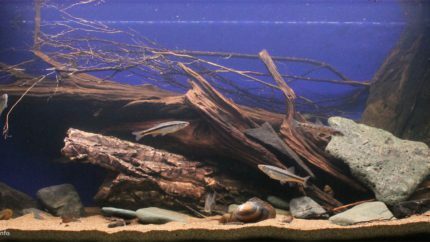 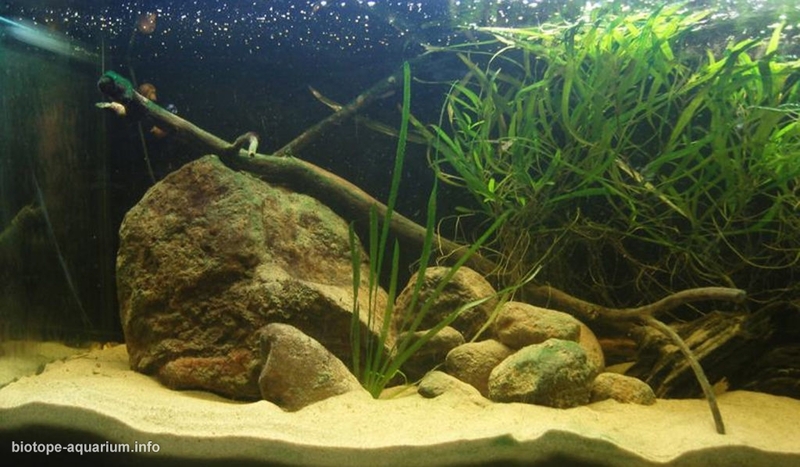 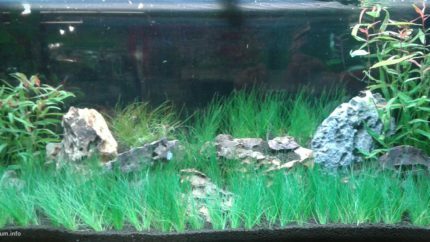 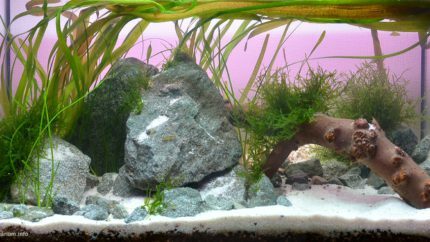 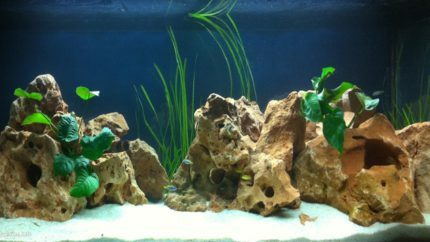 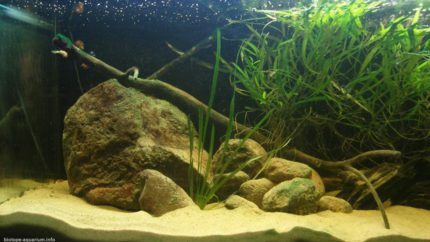 Of course it’s hard to get the substrate, rocks and driftwood of those places that you can use to create a biotope. 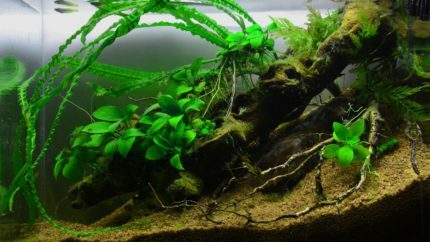 But in any case they should be similar, simulate the native ones as accurately as possible. 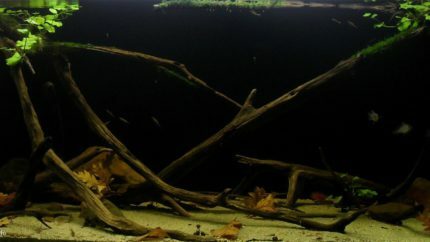 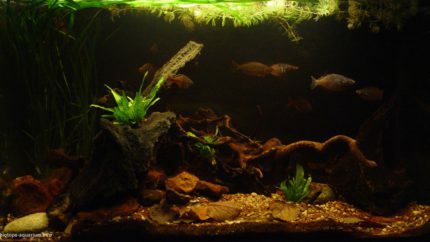 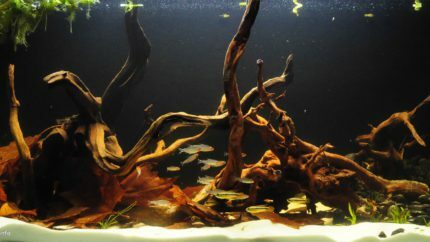 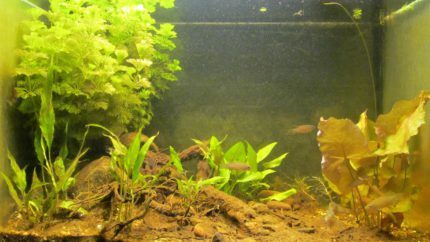 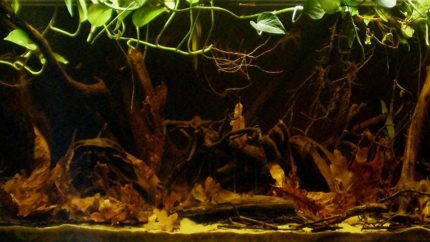 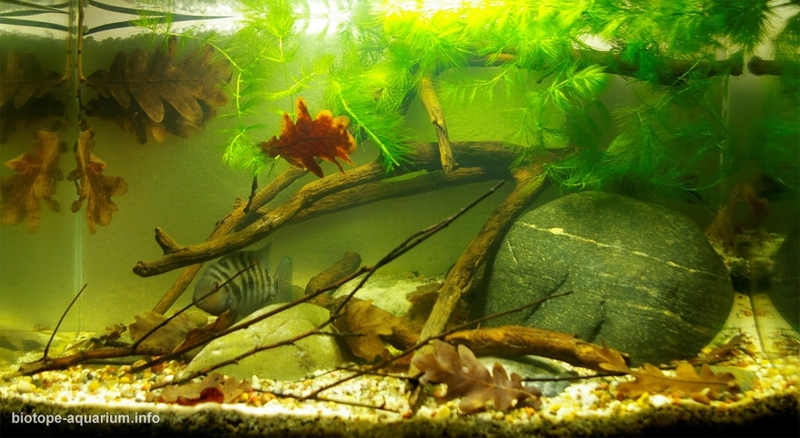 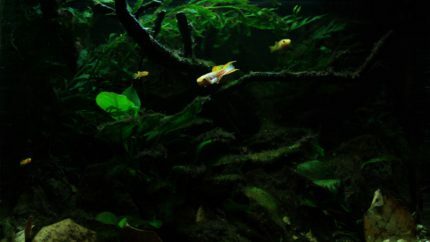 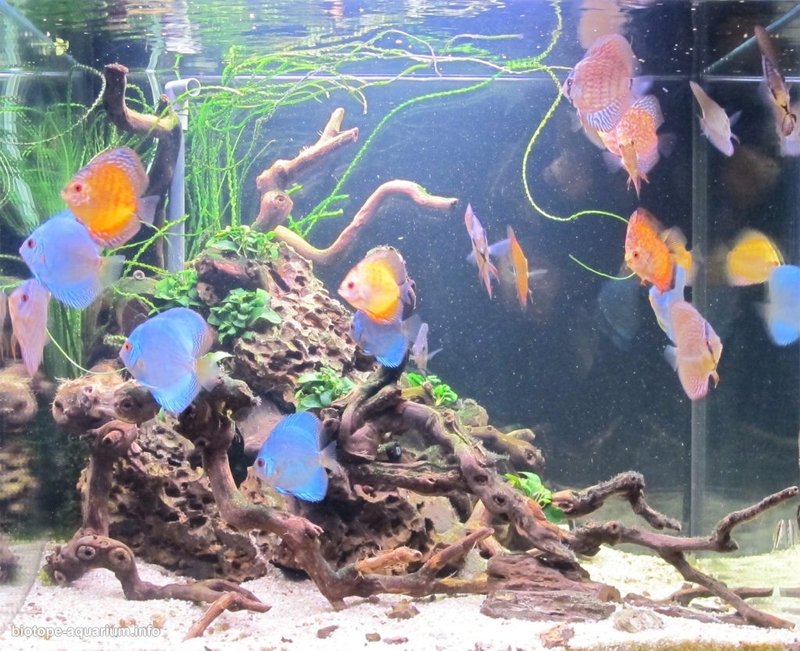 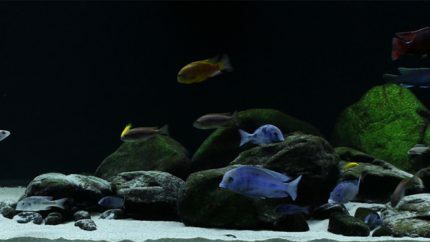 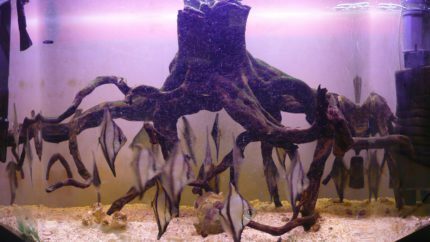 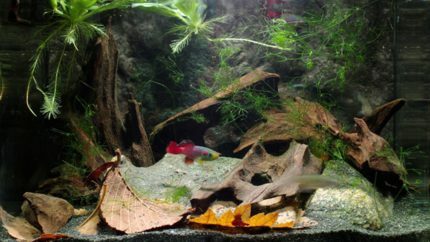 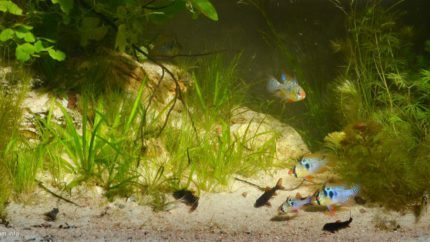 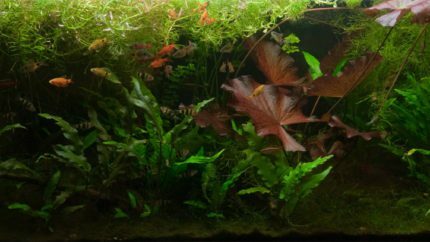 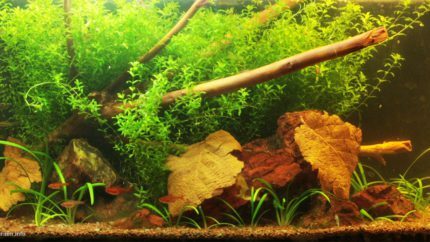 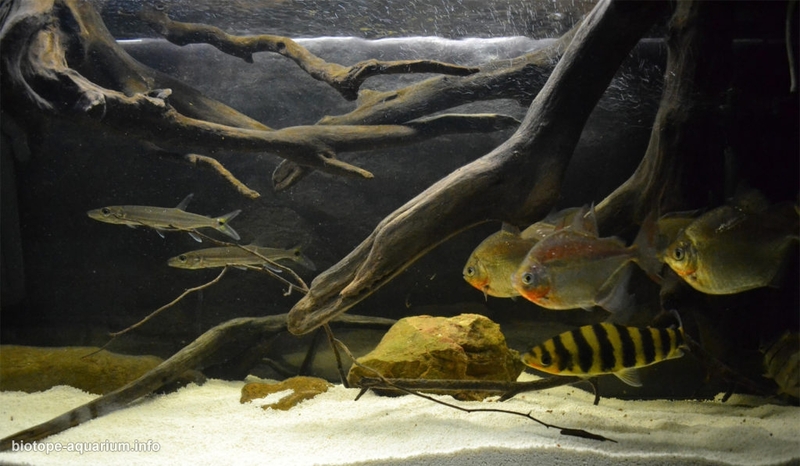 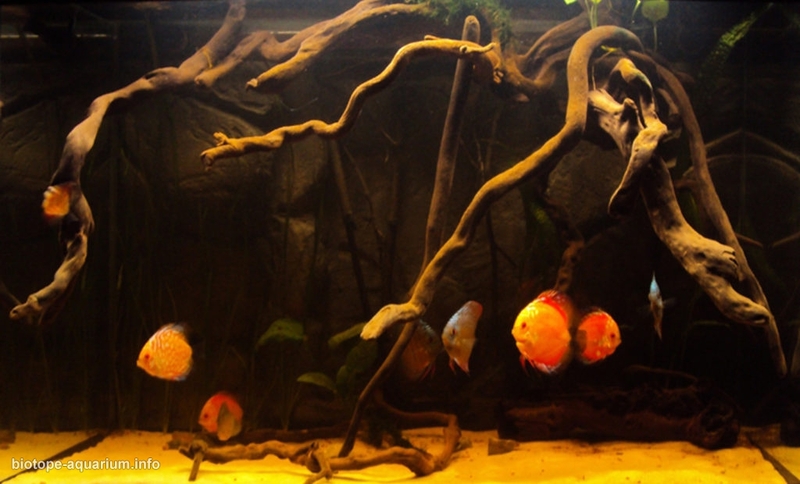 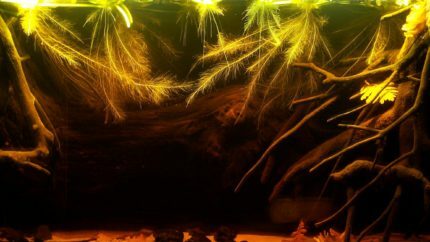 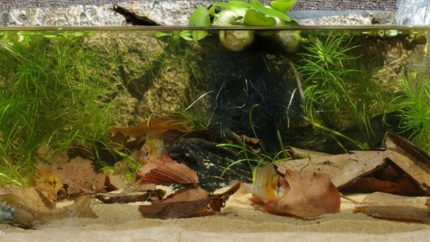 Therefore I reduced points for maple and oak leaves in tropical aquariums (at home it is possible, but not in the contest), mismatched colors and fractions of substrate, lack of inhabitantas on the photo, the only species of fish in the biotope rich in inhabitants in nature. 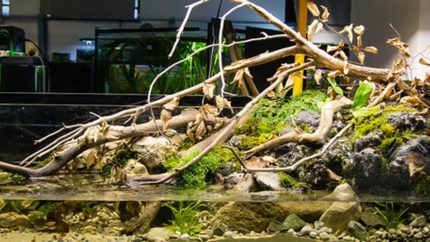 I want to congratulate all the contestants in the JBL Biotope Aquarium Design Contest. 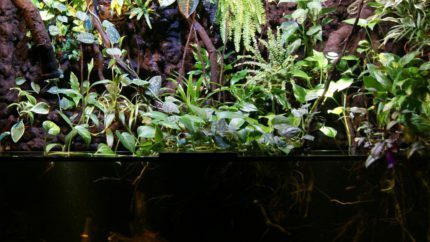 When I opened the web page and started looking at the tanks I asked myself smiling… “How were they able to create such extraordinary biotopes?” I looked at every picture. 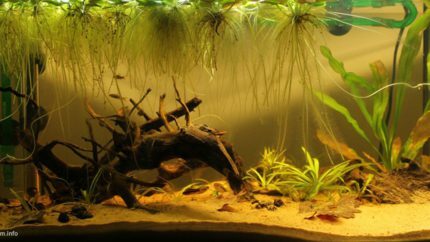 I tried to imagine myself replicating each aquarium and setting them up at home. 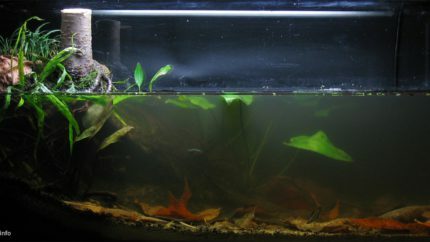 I tried to think of the steps that I would have to take from beginning to end until they looked like the pictures on the website. 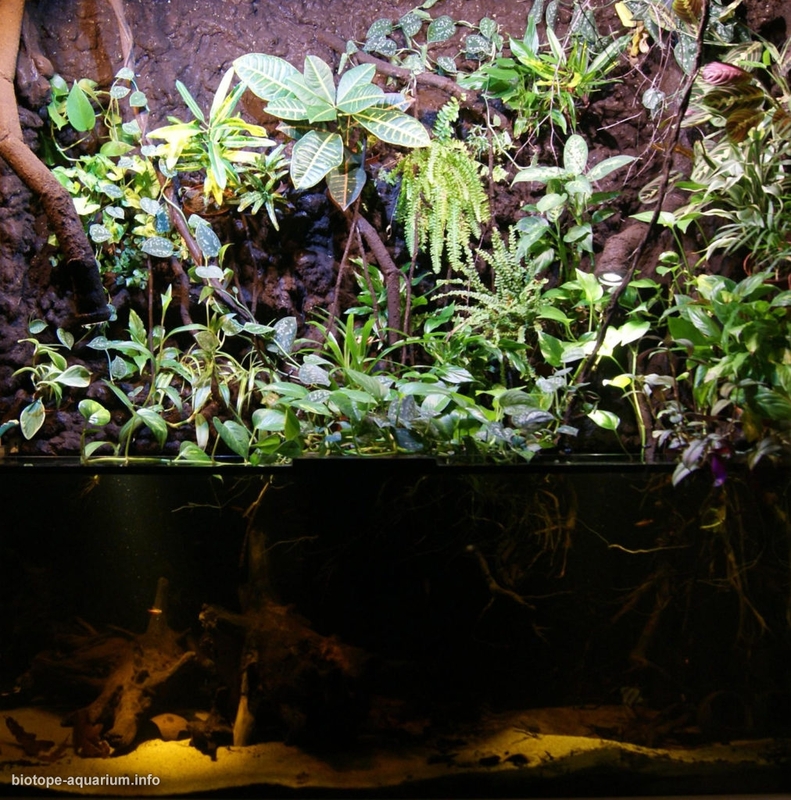 My conclusion was that every biotope aquarium in the contest shows the dedication, the passion of its creator, and his/her ability to think beyond the aquarium.